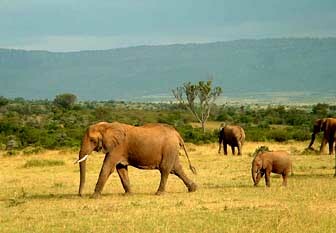 The samburu game reserve is situated in the Northern Province of Kenya. It is rugged and a semi- desert. To get here you will cross the equator at Nanyuki and go to the northern hemisphere by passing the snow capped Mt Kenya lying astrand the equator line and huge blue mountains serve as a back drop to this game reserve. The environment is enchanting. The river Uaso Nyiro is the lifeline and the nerve center of this Reserve and is bustling with a huge population of crocodiles. The game reserve is renowned for its rare species of animals that can only be found in this park, like -the long necked gerenuk, gravy's zebra, reticulated giraffe, and the Beisa onyx. The leopard is a frequent visitor in this park and most evenings it pays a courtesy call to the lodge's guests as it feeds on some bite on a tree across the river. Day 1: Depart Nairobi for Samburu National reserve arriving in time for lunch. Afternoon game drive. Dinner and overnight at a lodge. Day 2: Full day in Samburu with game drives. (Optional visits to Samburu villages). All meals and overnight at a lodge. Day 3: Breakfast at a lodge and depart for the tree hotel arriving at outspan hotel for lunch. Afternoon transfer to treetops lodge for floodlit game viewing. Dinner and overnight at treetops lodge. Day 4: Depart treetops hotel after breakfast and leave for Lake Nakuru arriving in time for lunch. Afternoon game drive. Dinner and overnight at Lake Nakuru lodge. Day 5: Breakfast and leave for Maasai Mara arriving in time for lunch. Afternoon game drive. Dinner and overnight at a lodge. Day 6: An extensive morning game drive is followed by a lazy restful afternoon by the poolside or another game drive. This part of the northern Serengeti is where the great wildebeest migration is resident and it will be possible to see huge herds of these animals covering much of the reserve. ( optional balloon safari). Meals and overnight at a lodge. Day 7: Depart for Nairobi after breakfast, arriving at around 1400 hours. 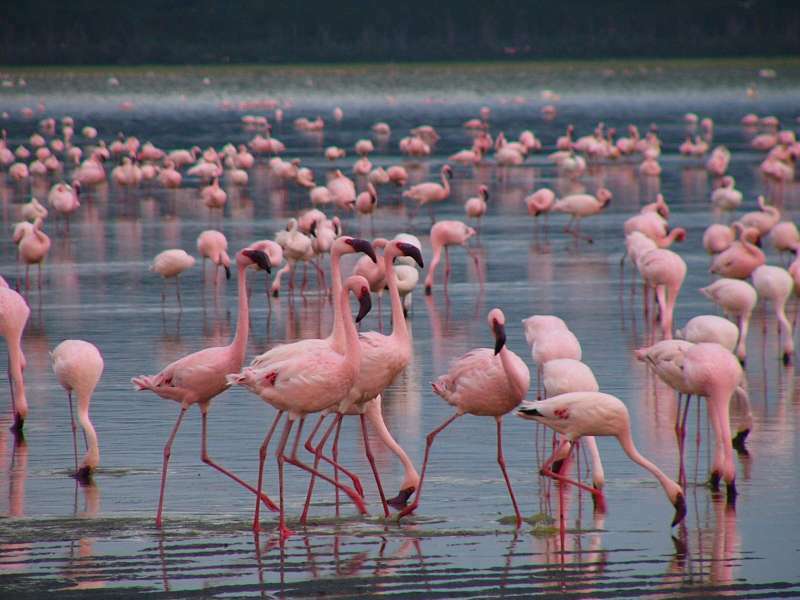 - These Safaris can depart any day. - The Safari Game Drives operate daily . - The itineraries are flexible and can be altered to suit you. - For precise costs based on your preferred departure dates, please contact us . Copyright © 2013 Madukha Tours & Safaris. All Rights Reserved. The air holiday packages shown are ATOL protected by the Civil Aviation Authority under ATOL number 9559. Please refer to our booking conditions.